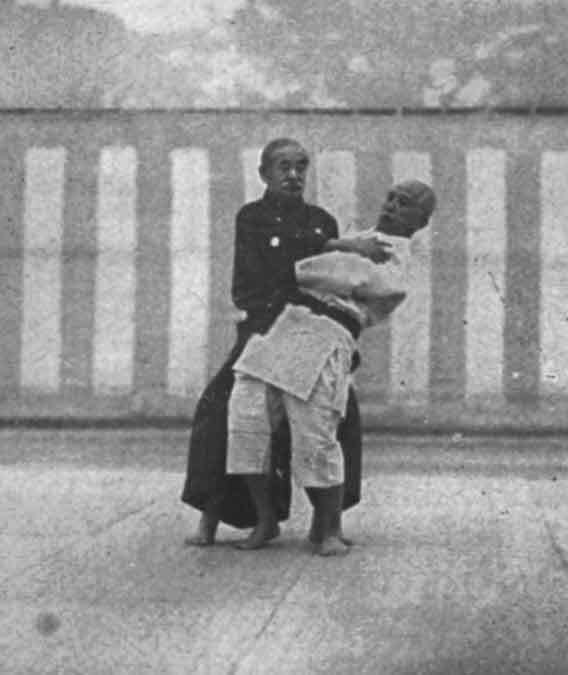 Jigoro Kano adopted Koshiki no kata from the old Kito school of jujitsu. In fact, an alternate name for this kata that you will hear occasionally is Kitoryu no kata (The kata of the Kitoryu). By studying Koshiki no kata you can get a decent idea of what those old, dead Kito guys must have been thinking about. First, the name they chose for their school (Kito) means something along the lines of "rise and fall," or since I almost always prefer looser, more westernized translations, I call it "waxing and waning." See, the most distinctive philosophical principle of the old Kito school seems to have been that everything is always waxing and waning. Our strength rises and falls. Our enemy's strength rises and falls. What seems strong in one sense is weak from another point of view. If you can figure out how to survive the ride until your strength is waxing and your enemy's strength is waning, then you will crash over him like a wave. You can mainly see this idea represented in the kata in the first section (omote). The first section is composed of matched pairs of techniques which mostly start the same way, but reach a branch in the stream where they either flow one way or the other. Take the first technique pair, for instance. Uke attempts something along the lines of tsurigoshi and tori disrups uke's balance backward. Tori and uke stumble backward several steps until uke is toppled backward (technique #1) or uke resists and changes the flow of the technique (technique #2).